Ceramic Juicer of Azmaya is rare item! Now is the chance!! 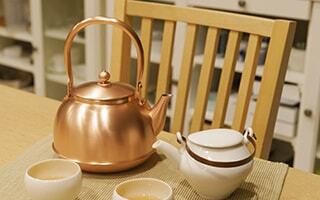 Tableware and kitchenware of Azmaya have been popular for traditional but polished design. 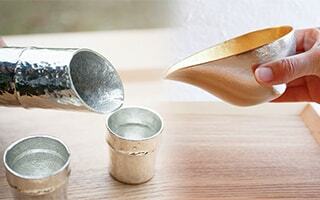 In fact, this ceramic juice squeezer is one of the best-selling items of Azmaya like Inban mamezara or Mizusawa Ubaguchi Tetsubin. 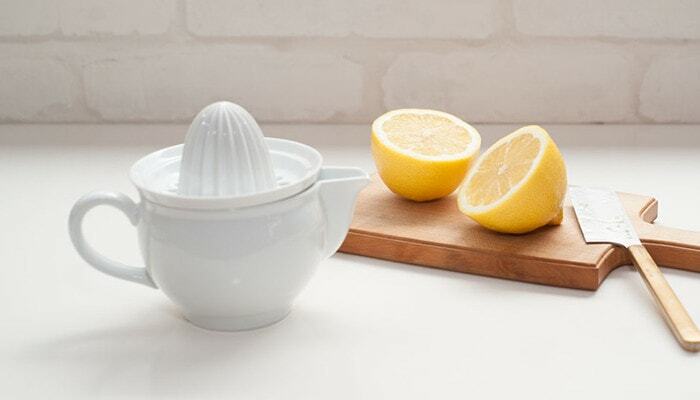 The reasons of its popularity are “easiness to squeeze, beautiful appearance, versatility.” Once you use this manual citrus juicer, the juicer become general tool in your kitchen or on your dinner table. 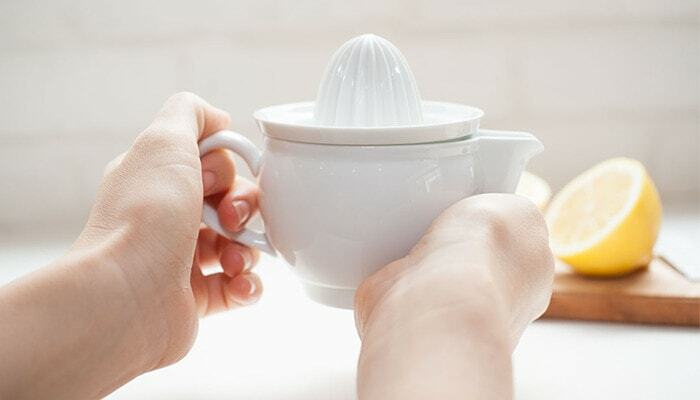 Many users choose this juice squeezer as gifts for their friends. 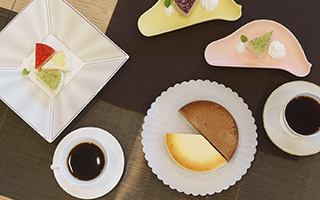 Japan Design Store tries to have enough stocks all the time as much as we can. However, we can only get 3 ~ 5 items at one arrival due to manufacturing system. If you think so, we recommend you get one when we have stocks regardless of the seasons. Sophisticated and modern design make difference of this ceramic juicer than other juicers. 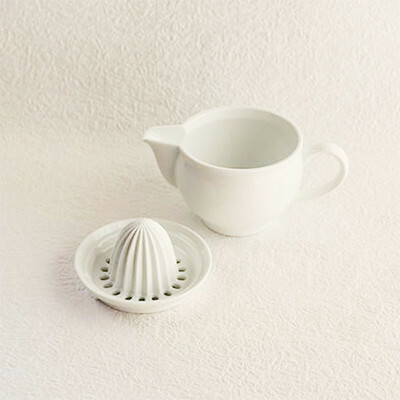 In addition to design, azmaya pursues usability in detail for the ceramic juicer. Depends on the timing, it takes half of a year for the next arrival. 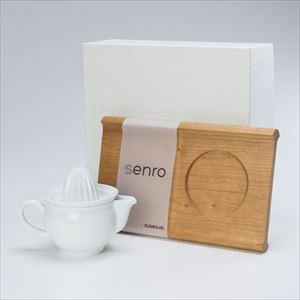 If you would like to get this Japanese ceramic juicer, we recommend getting it as soon as possible. 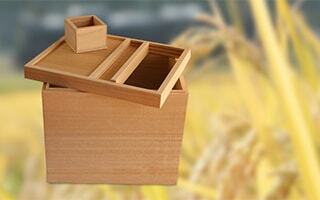 Juice squeezer from Azmaya can make juice, ponzu sauce (Japanese citrus dipping sauce), and dressing. For ponzu or dressing, squeeze juice of fruits, add other ingredients in pot, mix them, and serve it directly to dinner table. 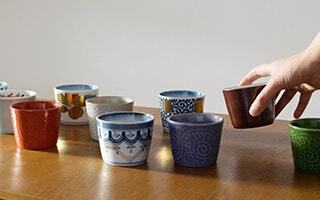 This ceramic juicer is produced for a series of this move. 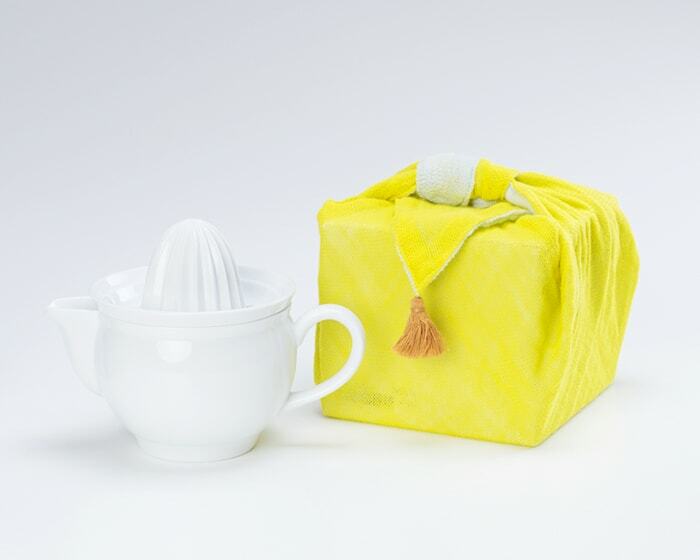 The beautiful manual citrus juicer is superb size that we can easily handle it with one hand. 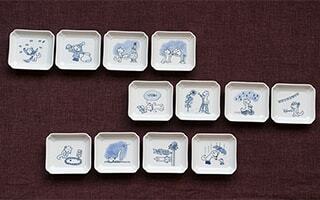 Since it is made of porcelain, we can wash a whole squeezer. 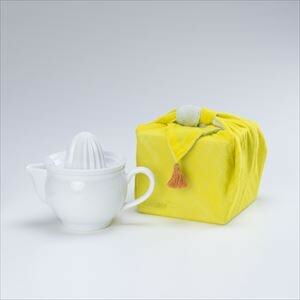 Ceramic juicer of Azmaya is a set of squeezer and pot with handle. 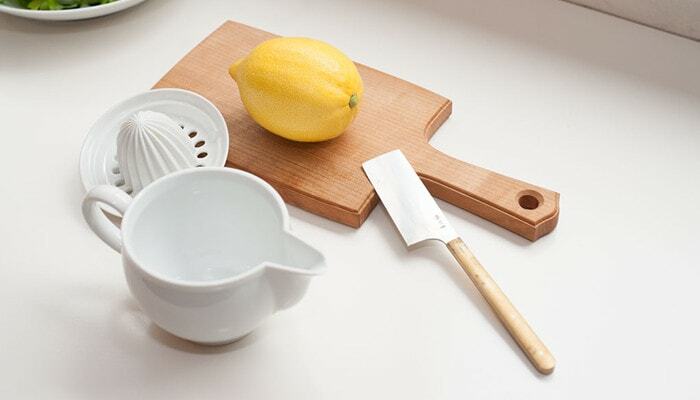 Craftsmen made many tries and errors to produce the form of squeezer to make it squeeze all juice of half-cut lemon. 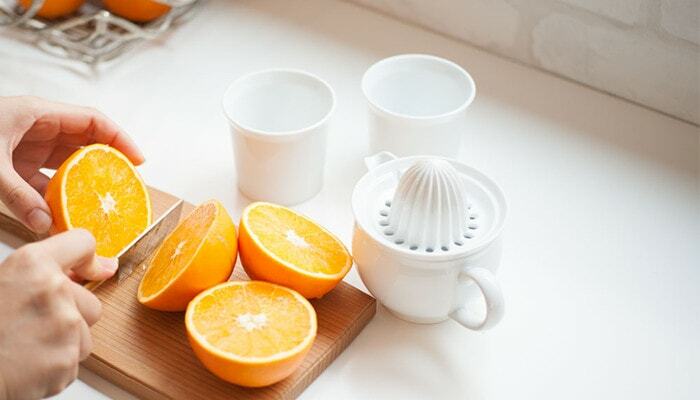 Of course, you can use this ceramic juicer for oranges, grape fruits, or yuzu in addition to lemon. A large fruit like grape fruit can be squeezed if the fruit has soft peel. 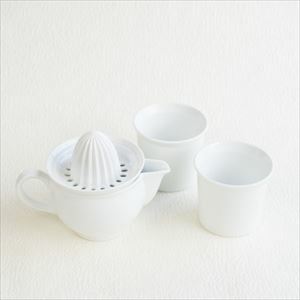 Manual citrus juicer of Azmaya is a Hasami porcelain which is characterized by its beautiful white and translucent color. 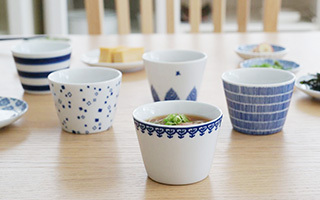 Nagasaki prefecture (Hasami porcelain), Saga prefecture (Arita porcelain), or Kumamoto prefecture in Kyushu area are big producing area of white pottery stone. 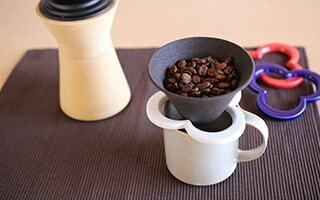 This ceramic juicer is made of Amakusa pottery stone from Kumamoto prefecture. 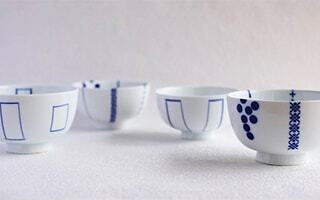 Slightly blueish white color looks like a Limoges porcelain in France. 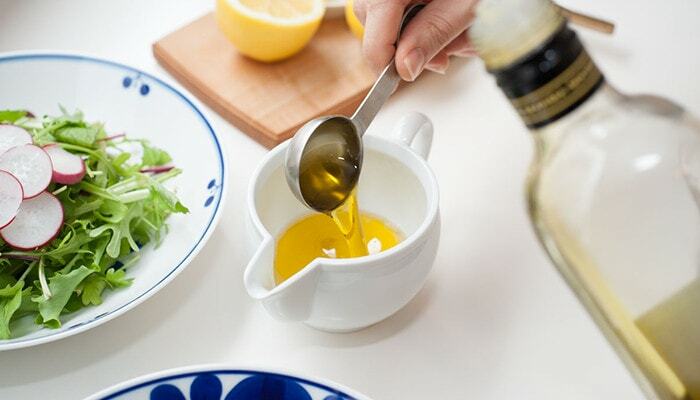 So, this Japanese juice squeezer suits well with French or Italian dinner in addition to Japanese meal. 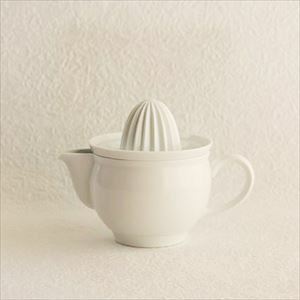 My first impression for the ceramic juicer of Azmaya is “it is simple, but well considered design.” Honestly, this juice squeezer is “just a plain, simple juicer.” But when I take it, its cute rounded form attracts me. It reminds me magical lamp of Aladdin. The squeezer has no decorations. It has polished beauty. We can squeeze fruits without slip of hands or extra power. Small holes of squeezer strain juice and tiny fruit pulp. Ceramic juicer does not conduct heat to fruits. 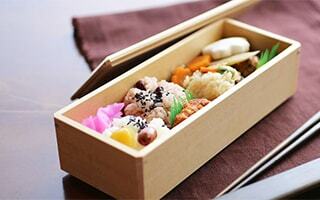 So, it keeps vitamin and natural sweetness of fruits. I am admired of this squeezer. It is stylish like a modern sculpture. It must be considered well. 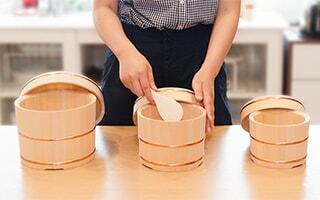 According to Azmaya, they made many tries and errors to pursue the easiness of squeezing. Finally, they reached to this form of ceramic squeezer. 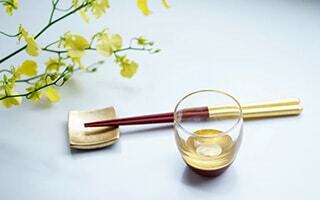 Moreover, this ceramic juicer is filled with crystallization of craftsmen’s efforts. Spout of pot does not drip! If you use glass juicer or plastic juicer, don’t the spout drip juice when you pour it to glass? Don’t you think it is unavoidable? NO. 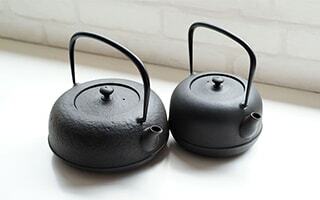 In fact, craftsmen of Azmaya shaves the spout of pot one by one and glaze the place slightly to pursue the good spout. However, if you pour juice slowly, the juice is easy to drip. So, when you pour juice, tilt the pot quickly. 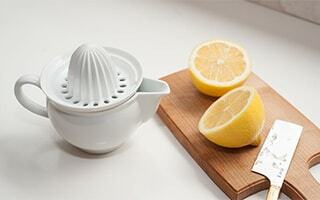 If you use manual citrus juicer now, you may feel the difference well. 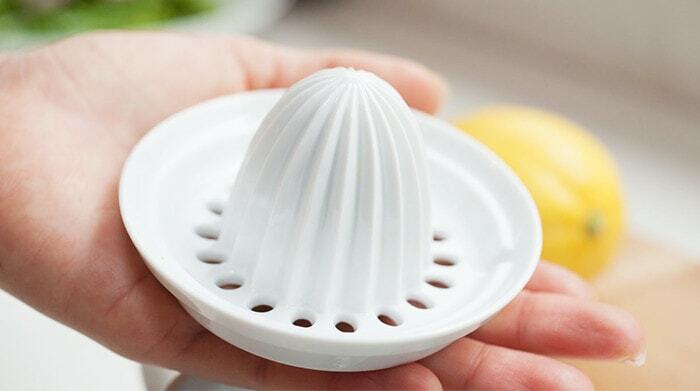 Sharp ceramic juicer can squeeze juice of fruits very well. 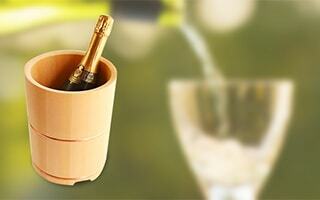 The squeezer firmly sit on pot, so it is stable. For example, lemon can be squeezed as if I could squeeze all the juice without the peel. 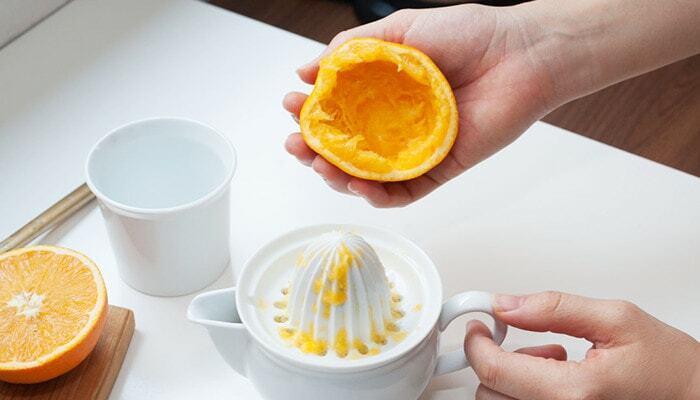 Once you squeeze fruits with this ceramic juicer, you may be addicted to this unique feeling. You will use manual citrus juicer more frequently and take more fresh juice. 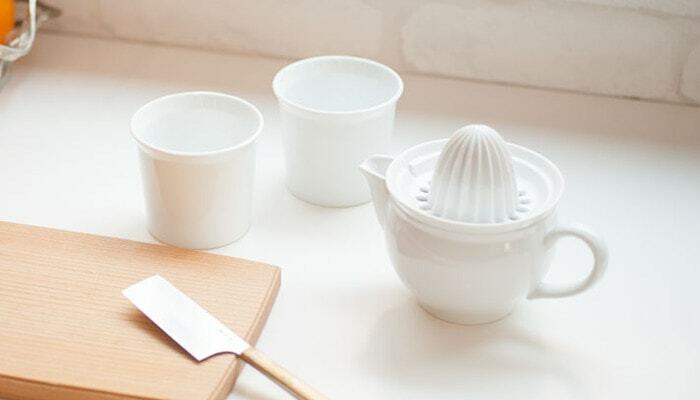 If you think so, we recommend this ceramic juicer for you. You can just store this juicer in cupboard when you do not use it. Big juicer machine needs some space. Unlike them, you can store this small juicer easily. 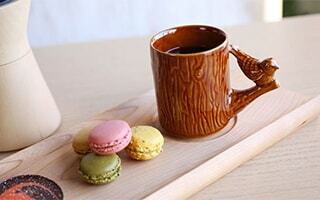 When you use the ceramic juicer, you can serve cute pot directly. 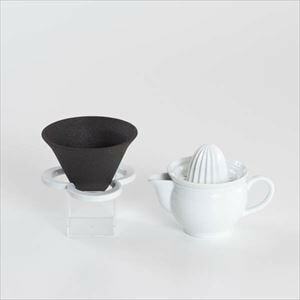 In addition, ceramic juicer can be washed as same way as other tableware. You do not have to worry about stuff of fruit pulp. From storing to after use, there is no loss or useless in use of this. It is stress-free! If you already use some juicers you may know this, but plastic juicer gets transferred smell of fruits or change color by damage. As you use several times, hygiene problems will arise. 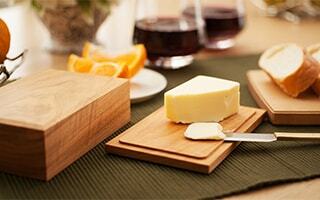 As for metal blender, mixer, or juicer, you may worry about smell of metal blades or dregs between blades. Especially when you use juice for children, hygiene aspect is a big problem. You do not worry about these problems for this juice squeezer. It is a ceramic juicer. So, it does not get transferred smell or damage. Squeezer is made of one part, so dregs do not stuff between parts. 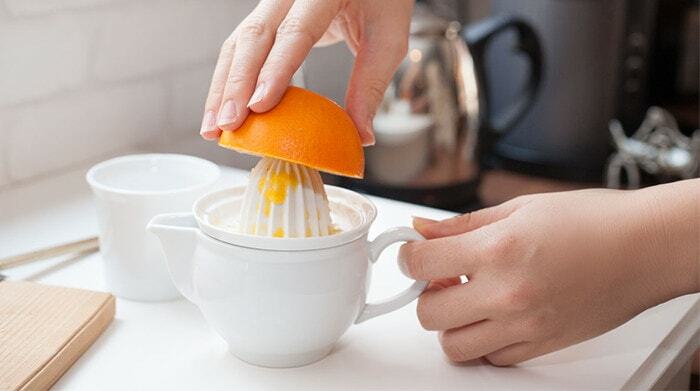 After use, you can wash juice squeezer like you do for other tableware. In addition, you can use dish washer or dish dryer for this ceramic juicer. Juicer is an item to enjoy fresh fruit juice. Therefore, a hygienic juicer would be better. 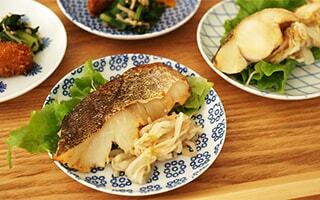 For those who live life carefully, an item to make juice, ponzu sauce or dressing with fresh fruits is a pleasant item. However, we seldom purchase manual citrus juicer by ourselves. So, sending beautiful juicer as wedding gifts or housewarming gifts would be great idea. 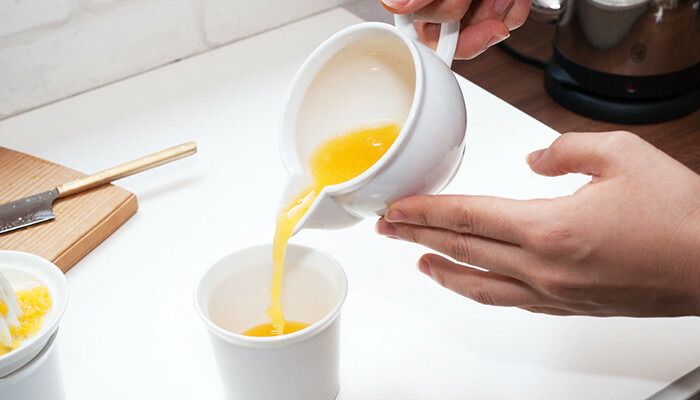 Juice squeezer of Azmaya can be used as pot or small pitcher. 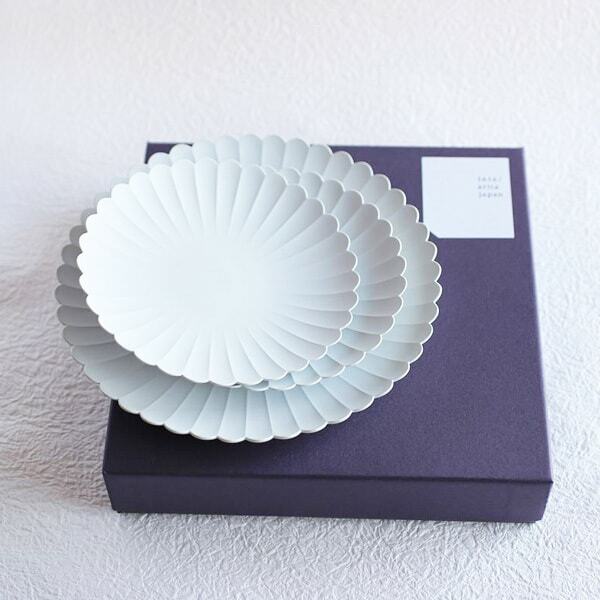 If you send ceramic juicer as wedding gifts, how about sending it with “Simple and stylish round plate, Japanese Arita porcelain” from 1616/arita japan? 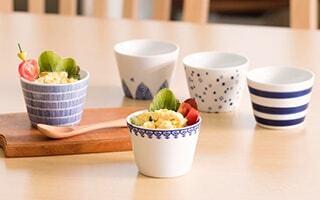 The recipient can enjoy making salad or other dishes with beautiful white porcelain. 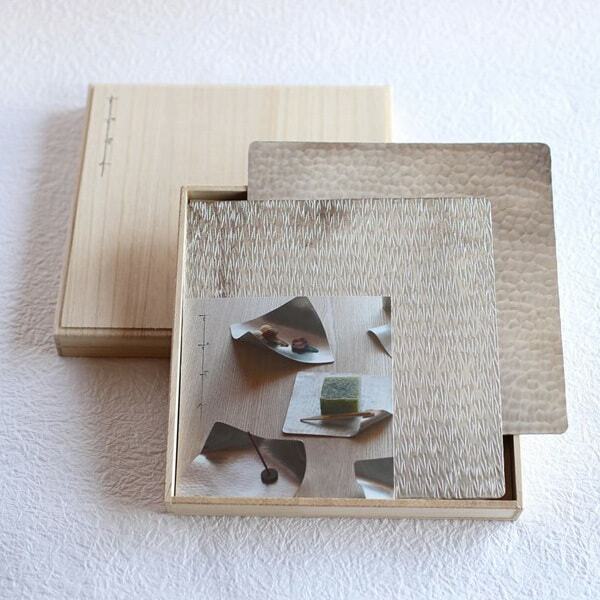 Japan Design Store original gift sets! 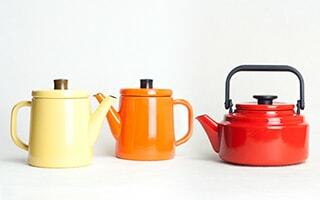 We make our original set of ceramic juicer of Azmaya and other items from other brands. 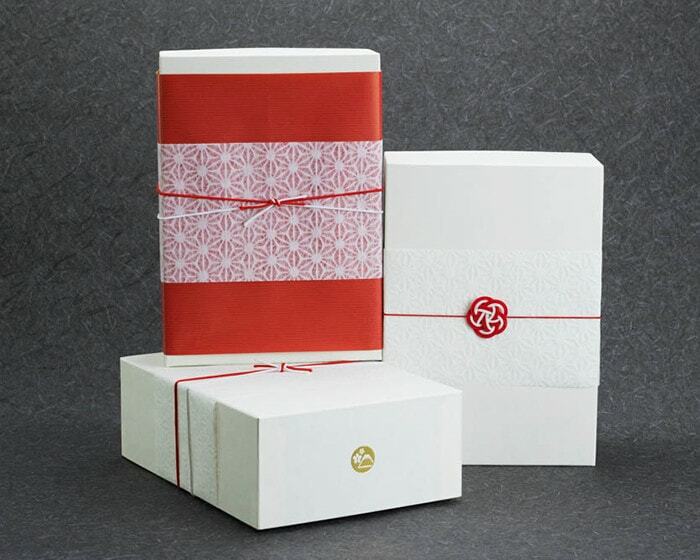 Handkerchief wrapping has more stylish and elegant atmosphere. 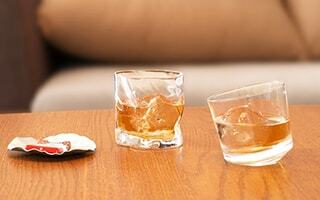 The set with pair cups and juice squeezer would be great wedding gifts. 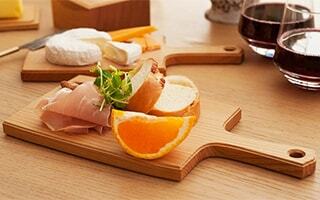 The set with juicer and wooden board enables you to make a stylish lunch. 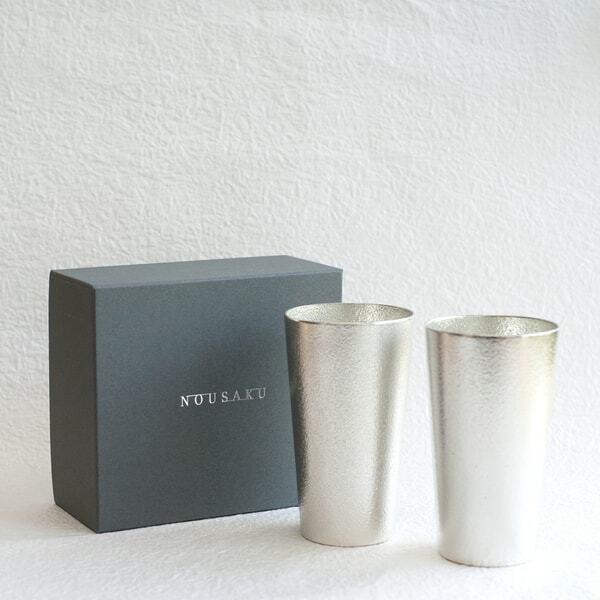 If you look for stylish gifts, how about our original gift sets? 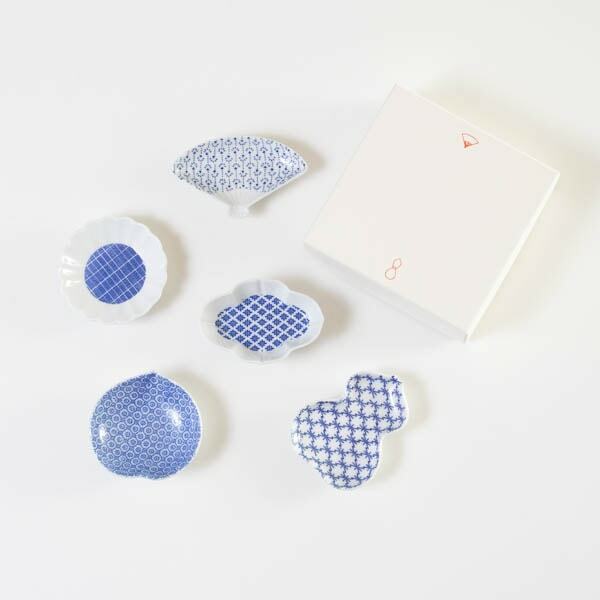 Some sets are within Japan Design Store original exclusive box. On elegant white box, gold logo of our shop shines. 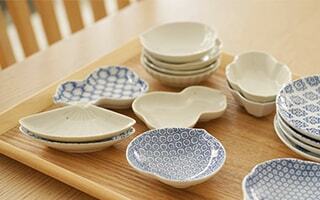 Azmaya is a brand produces Japanese traditional crafts, tableware, and daily necessaries. It was established in 1997. The representative of Azmaya Mr. Kumada recognized the fascination of Japanese crafts and culture from his long life in the United States. And he established Azmaya. 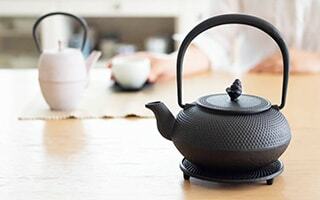 As we can see in this ceramic juicer, the products of Azmaya are characterized by their modern but nostalgic design with Japanese traditional culture or inherited skills. 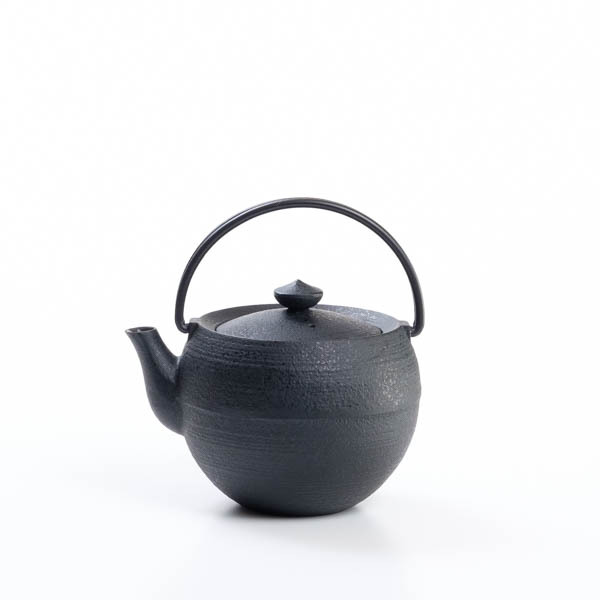 The ceramic juicer will make you realize the origin of Japanese manufacturing and aesthetic sense based on Japanese traditional culture. * Microwave and dishwasher SAFE.